See who used to work in the Group and where they are now! Kimon has joined the group as part of our BBSRC funded collaboration with Gordon Simpson. Kimon studied Biology at the National and Kapodistrian University of Athens, eventually realizing that computer programming offered him a much more satisfying experience than pipettes and colourless microdroplets. He swung away from the wet lab with an MSc in Bioinformatics at the same university. Leaving the sun behind, he completed a PhD in Bioinformatics at King's College London, and then moved across the UK, further away from any hint of the unbearable Mediterranean warmth, to join the Barton Group as a postdoc bioinformatician crunching transcriptomic data. Throughout most of his life, Karate has kept Kimon sane and healthy, both through training and teaching. Other activities include photography, music, cycling, diving and an insatiable appetite for building LEGO. At the end of May 2018, Kimon moved on to pastures new on the Continent of Europe! 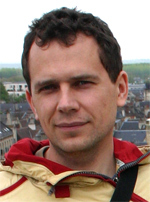 Marek is a member of the Data Analysis Group (DAG). He was originally supported by funding from the Centre for Gene Regulation and Expression as part of our joint venture to carry out innovative data analysis for high data content/high-throughput techniques such as proteomics mass-spectrometry and next generation DNA sequencing. Marek was born and educated in Poland. He graduated from the Jagiellonian University in Krakow and completed his PhD in astrophysics at N. Copernicus Centre in Warsaw. He moved to The University of Durham in 2000 as a postdoc and stayed there until 2009 in a succession of research and teaching positions. His main interest there was weird astrophysical objects: black holes and neutron stars. 2009 marked a dramatic change in his career: switching to Bioinformatics. One huge step for a man! Marek joined the DAG on 23rd March 2009. 2018: Marek is still here in the DAG, I have just moved him to Barton Group Alumni since the DAG is now an independent group! Kira joined the group on 1st October 2015 as part of our BBSRC funded collaboration with Gordon Simpson. On 1st October 2016 she moved to a new position with the Jalview Team. 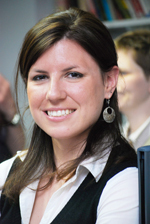 After a first degree in Maths and Computation at the University of Oxford, and an MSc in Operational Research at the University of Lancaster, Kira spent 8 years working as a software developer and team lead, working on projects ranging from staff and production scheduling, internet traffic simulations, geographical information systems, and machine vision for inspecting carpets and sorting mushrooms (not at the same time). Following an MSc and PhD in Neuroinformatics at the University of Edinburgh, and a postdoc working on an EU cognitive robotics project, she decided it was time to swap artificial life forms for real ones by joining the Barton group. In her free time she can be found 'relaxing' in Body Combat classes, pottering around the garden, or tracking down remote branches of her family tree. Kira joined the group on 1st October 2015. On 5th March 2018, Kira moved on to a position with the company Synpromics at Edinburgh. Fábio joined us as Ph.D. student on the Wellcome Trust Ph.D. programme in September 2013. His project was to study the impact of genetic variation on protein structure and interfaces. He submitted his Ph.D. in August 2016 and then became a Research Assistant in the group. Before joining the group, Fábio obtained his B.Sc. in Biochemistry and his M.Sc. in Molecular Genetics and Biomedicine at the Universidade Nova de Lisboa. Getting more interested in programming and databases, Fábio shifted to bioinformatics joining the group of Prof. Ludwig Krippahl, where he worked on correlated-mutations and protein-protein docking. When he is away from the computer, Fábio can be found at the swimming pool or most likely at the music room, where he dives into his piano improvisation. Fábio joined the Group on: 1st September 2013. Fábio successfully defended his Ph.D. Thesis at the end of 2016. His examiners were David Jones from (UCL) and Helen Walden (Dundee). Since October 2016, Fábio has been working on the BBSRC funded Dundee Resource project which includes JPred and the JABAWS webservices. At the beginning of January 2018, Fábio moved on to a staff position working in Rodrigo Lopez's web production team at the European Bioinformatics Institute. Thiago joined the group as a Ph.D. student on the CAPES scheme from Brazil. Thiago did his bachelor's (2010) and M.Sc. (2012) in Biophysics at the Biophysical Institute Carlos Chagas Filho. His Ph.D. is funded by the School of Life Sciences and the Brazilian Agency CAPES. His initial project is to study protein O-GlcNAcylation and then build an efficient and accurate substrate predictor for this reaction which will combine data from Daan Van Aalten's Group with the expertise in the Barton Group on Neural Network classifiers. Thiago joined the Group on 5th November 2012. Thiago successfully defended his Ph.D. Thesis in December 2016. His Ph.D. Examiners were Andrew Martin (UCL) and David Martin (Dundee). Thiago took up a post-doc position in the Dieterich Lab in October 2017. 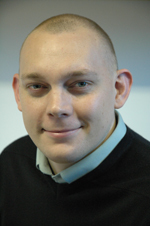 Chris is Senior Bioinformatics Research Officer and founder member of the Data Analysis Group. Like former Group member Ian Overton, Chris previously worked in Simon Hubbard's group at Manchester. Chris found the attraction of Dundee too great to miss, he dragged his family along with him, although his wife was happy to be back in Scotland! Chris left the bench after a traumatising Ph.D. and has been "doing" Bioinformatics ever since. In that time he has worked on protein-protein interface prediction, homology modelling, prion protein structure analysis and various aspects of proteomics. Chris joined the Group to forge links between the Barton Group and wet-lab researchers in the School of Life Sciences. He worked on protein structure prediction and proteomics, before being the first to do deep analysis of Next Generation DNA sequencing data in Dundee in collaboration with Gyorgy Hutvagner. 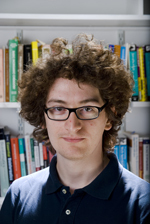 He then became the founding member of the Data Analysis Group (DAG) and from March 2011 has worked primarily on a Wellcome Trust Funded collaboration with Irwin McLean. In March 2014 he returned full-time to the Data Analysis Group but will maintain his involvement with the Centre for Dermatology and Genetic Medicine (DGEM). Chris joined the Group on 1st Feb 2006. He moved on to a PI position at the Leverhulme Research Centre for Forensic Science on 1st September 2017. Charles Joined the Jalview team on 1st October 2014 as a software developer to help with new feature development and architectural enhancement. 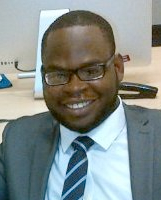 Charles (a.k.a Tochukwu) obtained a Bachelor's degree in Electrical/Electronics Engineering from Nigeria, and then worked for a software company in Nigeria for about two years before deciding to proceed for his master's studies in Software Engineering at the University of Southampton, UK in 2012. Immediately after his masters he moved to Aberdeen to work with the dot.rural research hub at University of Aberdeen as a Semantic web developer, a move which caused his friends to tease that he had become an extremist by moving from the extreme South to the extreme North of the UK! Outside work, Charles enjoys chilling with friends, watching sci-fi movies, chess, badminton and Disk Jockeying"
Tochukwu (Charles) joined the group on 1st October 2014, then moved on to a position in Mike Sternberg's group at Imperial College London, on 1st July 2017. Joe joined as a postdoc bioinformatician working with the Genomic Sequencing Unit (GSU) at Dundee. Having grown up in Hampshire, he's been slowly working his way up the United Kingdom. After doing a bachelor's degree in biochemistry at the University of Nottingham, Joe decided to unleash his inner nerd to get as far away from lab equipment as possible, so went on to do a masters degree and a Ph.D. in bioinformatics at the University of Leeds. Joe joined the Group on 1st March 2013, then moved on to a position at The University of St Andrews on 18th November 2016. Reema is working as a postdoc with Pauline Schaap's group in collaboration with us on the analysis of transcriptomics data in Dictyostelium and related organisms. Reema completed her Masters in Bioinformatics from CCS Haryana Agricultural University. She then joined a bioinformatics research project at the Indian Council of Medical Research. After completing two years, she registered for a Ph.D. in "Computational Biology and Bioinformatics" at Jawaharlal Nehru University in 2009. Reema joined the Team on 15th October 2013, then moved back to a job in India in November 2016 before taking up a new position at the University of Saskatchewan, Canada in April 2017. Pieta is a member of the Data Analysis Group (DAG) a sub-group of the Barton Group. Pieta is supported by funding from the Centre for Gene Regulation and Expression as part of our joint venture to carry out innovative data analysis for high data content/high-throughput techniques such as proteomics mass-spectrometry and next generation DNA sequencing. After working as a programmer and systems analyst for various finance sector companies, Pieta spent five years working as systems manager for the Parke-Davis Neuroscience Research Centre in Cambridge. She then returned to academia completing a PhD in mathematical biology at the University of Dundee in 2002. Since then she completed a Wellcome Trust Training Fellowship in Mathematical Biology, switching theoretical insects for the real thing. Pieta joined the Data Analysis Group in January 2009 from the SCRI where she developed methods for thermographic detection of plant stress. After over 7 years in the group and 18 years in Dundee, Pieta left in August 2016 for a new job at the Cancer Research UK Manchester Institute. Gabriele is a visiting postdoc from the University of Edinburgh. Her main research interests are to develop and apply novel machine learning tools for the analysis of high-throughput sequencing (NGS) data. She is currently holding a Marie Curie Fellowship, jointly in Dr Guido Sanguinetti's group at the School of Informatics, and in Prof Adrian Bird's lab at the Wellcome Trust Centre for Cell Biology. 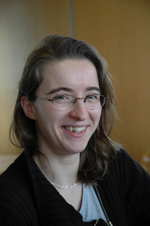 Previously, she completed a Ph.D. at the Max Planck Campus, Tübingen, Germany, working in the groups of Gunnar Rätsch, Bernhard Schölkopf and Detlef Weigel. Gabriele began her visit to the Group during 2013. On July 1st 2018 she started as a tenure track PI in the Division of Computational Biology with a joint appointment at the University of Tubingen, Germany. Alexey has joined us to do new research and development on JPred, Jabaws and other resources that we have developed in the group. He is funded by BBSRC. Alexey has made the move from high energy physics (with main focus on the Higgs boson discovery) to bioinformatics after more than a decade working on the LHC project at CERN, Geneva, Switzerland. Alexey received his Bachelor and Master degrees in Physics in 1999 and 2001 from the Novosibirsk State University (Russia), and his PhD in Physics in 2007 from the University of Florida (USA). Outside work Alexey enjoys practicing and teaching yoga, training, running, and all things in Nature. Alexey joined the group on 16th June 2014. Alexey left the group on 20th March 2016 to pursue a new career as a data analytics consultant in London UK with the company Altius. Nancy joined the group as a Ph.D. student on the Wellcome Trust 4-year programme in September 2012. She graduated in 2011 with a B.Sc. in Biochemistry (honours) with a Minor in Mathematics from Lafayette College, USA. While interning in an academic physiotherapy laboratory at the University of East London, she wrote a script to analyse data from motor-evoked potentials. This experience sparked her interest in programming and learning Python through a computational methods course at Lafayette. Wanting to apply these methods in a biological context, Nancy did a rotation in The Barton Group aimed at refining protein secondary structure prediction by incorporating natively unstructured regions. Her current project focusses on determining new genomic features in the Saccharomyces cerevisiae genome with RNA-seq. Outside of the School, she struggles to hold yoga poses and enjoys being part of the University Choir." Nancy joined the Group on 1st September 2012. She defended her Ph.D. thesis on 22nd December 2015. Her Ph.D. examiners were Prof. Simon Hubbard (Manchester) and Dr David Martin (Dundee). Nancy is now pursuing a medical degree in the USA. After a bachelor's degree in Physics and a Masters in Signal Processing and Computational Systems at the National University of Athens, Konstantinos was appointed as a high-school teacher in public education. Then, for over a decade he was seconded to the Managing Authority 'Education and Life Long Learning' of the Hellenic Ministry of Education, developing business software, supporting users, and as project manager for Programmes co-funded by the European Regional Development Fund. The budget of his supervised programmes amounted to 40m Euro, and the Management Information System he developed was acknowledged by the Hellenic Special Secretary of European Funds as a best practice for other Operational Programmes. Nevertheless, as the 'Life Long Learning' motto dictated, he carried out a Ph.D. in Bioinformatics at the Department of Computer Science and Biomedical Informatics of the University of Central Greece. Konstantinos has joined the group as a post-doc/programmer to work on software development for proteomics. Konstantinos joined the Group on 6th August 2012 and returned to his job with the Greek minstry of education in Athens on 10th October 2014. Sasha studied for an MSci in nuclear physics at the Moscow State University in Russia and made his Ph.D. thesis in theoretical particle physics at the same university. As a postgraduate student Sasha was a long-time visitor at the European Organization for Nuclear Research - CERN (Geneva, Switzerland) from MSU and did research on properties of the Higgs boson and the top quark for the CMS collaboration. 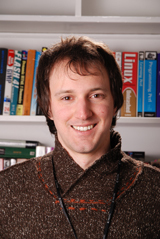 Sasha has had postdoc positions at the University of Cambridge and at the University of Oxford. His main scientific projects over the last 8 years before transition to bioinformatics were Monte-Carlo generators of events of elementary particle collisions, large programs used by particle physicists in search for new elementary particles on huge particle accelerators such as the LHC at CERN. Apart from an interest in scientific programming Sasha has always had a strong interest in data analysis techniques, especially in neural networks and other "soft computing" methods. 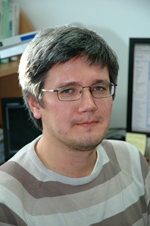 Sasha joined the Group originally to work on the the study of alternative polyadenylation in Arabidopsis by deep sequencing techniques. This BBSRC funded project was jointly held with Dr Gordon Simpson from the Division of Plant Sciences. However, from from March 2013, Sasha moved onto a new BBSRC funded project to improve and support our web tools: Jpred, Kinomer, Jabaws and TarO. Sasha joined the Group on 15th May 2010. He moved on to a job with GSK at Stevenage in April 2014. David Martin - Was the Post Genomics and Molecular Interactions Centre Bioinformatics Scientific Officer. David graduated with a degree in Chemistry from Kings College London in 1991. He completed a PhD in protein structure/function at the MRC Clinical Sciences Centre, Hammersmith in Ted Tuddenham's group before taking up an EMBO postdoctoral fellowship in Oslo. An EU TMR fellowship as part of the GeneQuiz project allowed David to develop his bioinformatics skills and he took the position as Head of the Norwegian EMBNet node at the University of Oslo in August 1999. 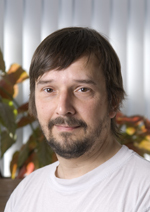 Following his move to Dundee in March 2001 David had a broad responsibility to develop bioinformatics support, training and services for the emerging data intensive science that is going on in the School of Life Sciences. David's scientific interests include genome annotation and data management. He has developed the GOtcha Tool which annotates sequences with GO term. He also collects genomes to annotate, preferably ones from nasty organisms such as Malaria and Sleeping Sickness. His interest is in improving the annotations, working out how to tell the annotations have improved (not as easy as you might think) and looking at these anntoations in a systems biology context. His external interests seem to involve rebuilding cars, houses and boats when he isn't out in the mountains or enjoying family life. He also plays the clarinet and saxophone but not as well as you'd want to be listening to. David Moved to Dundee in 2001. In July 2013 David took up a new position as a Senior Lecturer in the School of Learning and Teaching, College of Life Sciences. In this new job he is making great strides to get programming, data analysis and bioinformatics integrated into the undergraduate courses at Dundee! Tara Eckenrode: Tara joined us as a Ph.D. student and worked on the analysis and prediction of protein-protein interactions. Tara joined the group on 1st November 2010 and successfully defended her Ph.D. in record time on 8th Feb 2013! Her examiners were David Westhead from Leeds and David Norman (Dundee). Tara has now returned to the USA to pursue a new career outside science. 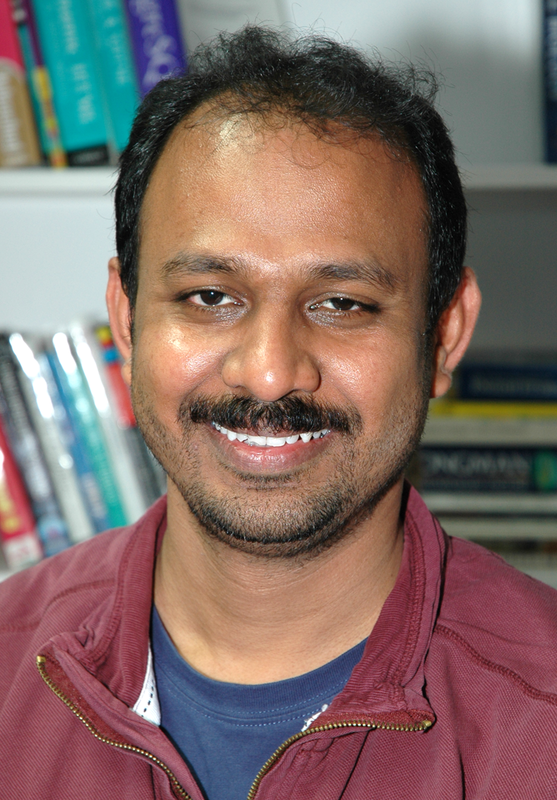 Manikhandan Mudaliar (“Mani”): joined us to work as part of the Data Analysis Group. Prior to joining the group he worked at the Translational Medicine Research Collaboration (TMRC), Dundee as a bioinformatics analyst where he was involved in a canine lymphoma translational project, colorectal cancer biomarker discovery and COPD biomarker discovery projects. Although now working in bioinformatics research, he was originally trained as a veterinarian and obtained a professional veterinary degree (BVSc & AH), from Nagpur Veterinary College, India. Mani then worked as a Veterinary Officer for the Government of Tamil Nadu for 9 years. His immense desire to keep abreast in the cutting edge of drug discovery brought him to the UK to do an MSc in Bioinformatics at Cranfield University before moving to his job at the TMRC. Mani joined the group on 1st April 2011. 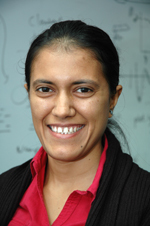 Mani moved on to a 3-year appointment at the University of Glasgow on 9th July 2012. 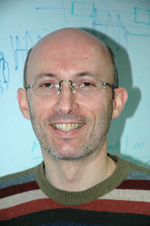 Peter Troshin: Peter was supported by a number of grants including the BBSRC Structural Proteomics Inititiative to develop computational systems based on webservices and other technologies. He is the author of the novel JABAWS portable web-services environment. Peter joined the group on 1st July 2009. Peter moved to become an independent software consultant on 1st January 2012. 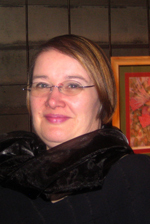 Michelle Scott - Caledonian Research Fellow and formerly Canadian Institutes of Health Research (CIHR) funded fellow. After a bachelor degree in biochemistry at the Universite de Montreal and a Masters in biochemistry and molecular biology under the supervision of Karl Riabowol at the University of Calgary near the beautiful Canadian Rockies, Michelle decided that she missed math and physics. As a consequence, she undertook a degree in computer engineering at McGill University in Montreal. After two years, she switched to a PhD in bioinformatics/biochemistry at McGill under the co-supervision of Mike Hallett and David Thomas, studying protein subcellular localization. She moved to Dundee in the fall of 2005 to work as a CIHR post-doctoral fellow. 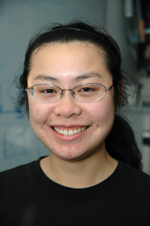 Michelle is interested in protein-protein interaction networks with a particular focus on the nucleolus. Starting date: 1st December 2005. Michelle moved on at the end of July 2011 to start her own research group at the Universite de Sherbrooke Canada..
Tom Walsh - did his first degree in Biochemistry at Trinity College Dublin and then moved to University College Dublin for a PhD on modelling cytokine receptor complexes. He moved to Dundee in July 2002 to work on the EC funded project TEMBLOR. TEMBLOR was funded by European Community Contract No. QLRI-CT-2001-00015 for "TEMBLOR" under the specific RTD programme "Quality of Life and Management of Living Resources" Tom maintains the group's MSD installation and his other interests include writing a Perl library for interfacing with the SCOP database hierarchy running STAMP searches in parallel on the group's computing cluster and building a database of pairwise structure comparisons of SCOP domains. 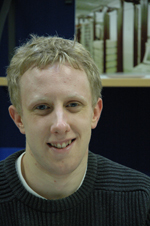 From 1st July 2005 Tom transferred to a SHEFC funded position as part of the Scottish Bioinformatics Research Network (SBRN) and continued in this role on other funding until 2011. Tom claims to be able to program in Fortran and play the accordion but the group has so far been spared these dubious accomplishments. In his spare time he enjoys collecting useless trivia. On 1st August 2011 after 9 years in the group, Tom left to take up a job within the College of Life Sciences HPC team. Tom will still be supporting our systems but will have other new responsibilities in his new position. Dan Bolser: Post Doc with David Martin working on BBSRC funded Potato genome sequencing project in collaboration with the Scottish Crop Research Institute. Dan joined David’s group on 21st July 2008 and after getting his work published in Nature, moved on to new challenges in July 2011 and then took up a job at the European Bioinformatics Institute. Mark did his undergraduate degree at the University of Durham in Molecular Biology and Biochemistry. Realising that he enjoyed computers more than pipettes and gels, he went to the University of York to do an MRes in Bioinformatics. After taking a year out working in the IT department at the City of York Council he jumped ship and ventured north to start a Ph.D. on the prediction of protein-protein interactions. When he is not programming or reading papers he enjoys photography, walking, cycling and badminton, plus when he gets the chance, jive and ballroom dancing. 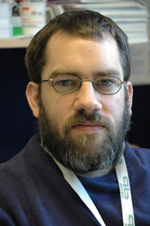 Mark joined the group on 10th September 2007, then moved on to the European Bioinformatics Instititute in October 2010 to work as part of the Ensembl team. He submitted his Thesis on 5th April 2011 and successfully defended it on 23rd May 2011. His examiners were Christine Orengo and Ruth Brenk. Christelle Robert - Scottish Crop Research Institute (SCRI) student based at SCRI with primary supervision by Frank Wright and Leighton Pritchard at the SCRI but co-supervised by Geoff. Christelle successfully defended her Ph.D. thesis on 15th Jan 2010. Her examiners were Prof. David Westhead of Leeds University and Prof. Tracy Palmer. Christelle is now working at the Roslin Institute. six months travelling South East Asia and Australasia, largely on his own. He read Biochemistry at Oxford University, obtaining an undergraduate Masters degree. He has also worked with Astra-Zeneca at the bench. He is interested in the relationships between protein structure/sequence and function, molecular dissection of biochemical mechanisms, and the development of rational therapeutic strategies. Starting Date: 1st December 2004. In 2009 Ian won a prestigious Royal Society of Edinburgh Research Fellowship to develop his own research group at the MRC Human Genetics Unit, Edinburgh. Ian started his Fellowship in October 2009. In 2017, Ian moved to Queen's College Belfast as a Senior Lecturer. Cathy Stephenson Scottish Funding Council (SFC) Funded SBRN Adminstrator. Cathy was the Administrator for the SBRN grant from 15th October 2005 four four years. Cathy also looked after the group’s secretarial needs as well as developing new grant application procedures for the College of Life Sciences. Quite apart from her big impact on the research and smooth running of the group, Cathy did great things for our social calendar and made sure we all celebrated birthdays!! Jonathan Manning - Jon started in the group in October 2004 after a Master of Research in Bioinformatics at the University of Leeds. This followed a Bachelors degree in Biochemistry (also at Leeds), which included an industrial year in sunny Florida studying the genetics of Parkinsonism, and a computer-based dissertation project examining the role of water in protein-protein interfaces. He rapidly discovered that in contrast to lab work, with computers, any problems could for the most part reliably be traced to himself, rather than dodgy enzymes or broken pipettes. Jon decided the laboratory was an environment best left to those with more patience, and his lab coat has been consigned to the bottom drawer ever since. When not looking goofy in photographs, Jon likes to spend time attempting to deprogram his namby-pamby southern ways by walking up and down steep bits of the Scottish landscape at weekends with the university rucksack club. He invariably regrets the decision to do so come Sunday evening, but somehow forgets it when, after a few beers, the signup sheet is proffered. Other interests include beer, wine, cooking, swimming, cycling, and too much TV. While not entirely sure what his 'life after PhD' will be, Jon's grateful to Geoff and the BBSRC for allowing him to do interesting biological research in combination with messing around on the computer. Jon submitted his Thesis in January 2008 and passed his viva on 2nd May 2008. His examiners were Prof David Jones from UCL and Dr Ruth Brenk. He started work at Edinburgh University in early Feb. 2008. Greg Machray - A native Dundonian and only Scotsman in the group, Greg joined the group after completing his first degree in Biochemistry at the University Of Dundee in summer 2003. He started his BBSRC funded Ph.D. project in October 2003 and is jointly supervised by Mike Ferguson. Although his project is generally computer-based, both supervisors are threatening to force wet lab work on him before three years is up. Contrary to popular belief, Greg has left the confines of the city of Dundee several times - although it's so nice here he doesn't really see the point. His activities between work and above boundaries are varied, in particular he enjoys beating the unmentionables out of all comers thrice weekly at the University Ju Jitsu club and at the Scottish Ju Jitsu Association headquarters. Such training sessions are inevitably followed by a drink or two "to aid the healing process" and "to promote recovery". 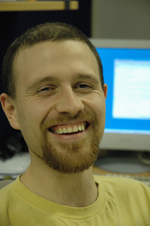 Greg left during 2007 to take up a programming job in London. 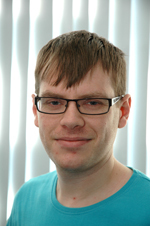 Johan van Niekerk BBSRC Funded to work on the project “Structural Proteomics of Rational Targets” SPoRT as part of the Scottish Structural Proteomics Facility (SSPF). Jo completed a BSc in Genetics with Biochemistry and Zoology subjects at The University of Pretoria (South Africa) in 1998, after which he started studying Computer Science. He started working it the IT industry in 2000, working on many different kinds of projects, most having two things in common: They seemed to require some sort of database design work, and they were completely unrelated to Biology. Out of his interest in biology, he started doing a distance learning MSc in Bioinformatics through Manchester University in 2002. He moved to Scotland in 2004, hoping to be a little closer to the action in Bioinformatics research. He joined Geoff’s group in November 2004, and is happy to be working in a place where his colleagues know the real link between Entrez, Tea-coffee and Java. Jo is the LIMS manager for the SSPF (Scottish Structural Proteomics Facility). Starting Date: 8th November 2004. In August 2007 Jo moved on to a job with Ingres at Melbourne Australia. 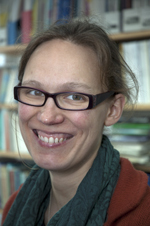 Emily Jefferson: PostDoc on the ENFIN EU Network of Excellence project. 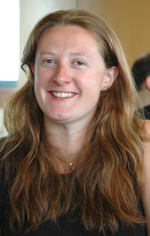 After completing her first degree in biochemistry at the University of StAndrews, Emily joined the group in October 2003 on a BBSRC funded studentship working on the analysis and prediction of protein-protein interactions. 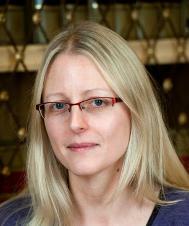 Having completed her thesis, (examiners Prof. Janet Thornton, EBI and Prof. Daan van Aalten) she joined the ENFIN project on 1st November 2006. In June 2007 Emily moved out of science to a job with a financial services company in Oxfordshire. From October 2010 Emily took time out to cycle around the world and raise money for Oxfam! In October 2012 Emily returned to Dundee as the eHealth Development Programme Manager in the Health Informatics Centre at Dundee. Andrew Waterhouse - BBSRC Funded research assistant working on development of the JalView alignment viewer/editor as part of the Visualisation and Analysis of Biological Sequences Alignments and Structures project. With a degree in Natural Sciences from Cambridge and an MSc in Information Technology from Heriot-Watt University Andrew worked for the Mouse Atlas project at the Human Genetics Unit in Edinburgh as a Java Developer before moving further north. Andrew joined the Barton group from a Dundee based mobile phone software company and is hoping to bring DNA/Protein sequence analysis tools to the mobile phone market. Andrew spends his spare time mountain biking the local and not so local hills or playing football for the aptly named Cannonfodder FC. Initially the move to Dundee promised to bring him closer to the snowfields of Glenshee and Aviemore, but after realising the Scottish snow season invariably lasts for 2 days in February is happy to go bagging the Monroes by foot alone. Starting Date: 13th September 2004. 25th May 2007: Andrew has now moved on to a position at the Riken Institute, Yokohama, Japan. In 2011, Andrew moved back to Europe to a position in Switzerland with Torsten Schwede. 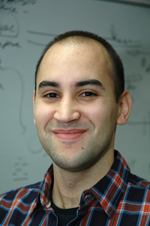 Diego Miranda-Saavedra - is a Wellcome Trust 4-Year programme Ph.D. student. He joined the Group from September 2003 to complete a Ph.D. over the next three years. Diego successfully defended his Ph.D. thesis on protein kinase annotation and kinome comparison on 3rd May 2007 and is now a post-doc in Bertie Gottgens’ group in the Department of Haematology, Cambridge Institute for Medical Research, University of Cambridge. In October 2009 Diego moved on to a Group Leader position at the Immunology Frontier Research Institute, Osaka University, Japan. In October 2013 Diego returned to the UK to take up a position as Reader at the University of Newcastle. Philip Quinlan - is a programmer who worked with David Martin on the TACTICS project at in the medical school. He is now based 100% there. 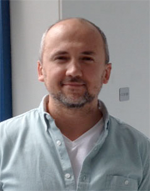 Jonathan Barber - joined the group in October 2001 as a BBSRC funded Ph.D. student, after graduating from Imperial College with a degree in Biotechnology, during which he spent a year working at (the then) GlaxoWellcome looking at medium-throughput screening. Disliking the fact that biology practicals never ever work due to the biology involved, he decided to weather the nondeterminism of computers instead, where some other poor sod has done all the donkey work, and you get to sit down more. When not shackled to his desk, Jon juggles, reads and drinks. Sometimes all at the same time, with predictably soggy results. Also, he's a fan of the cinema, especially the DCA, which is groovy. At least one evening a week he runs around chasing after a football trying his best to kick the damn thing. Not to be outdone by the other musical virtuosos in the group, he's currently looking for someone in the area to teach him how to play the flute so he can inflict his ability on other people unlucky enough to stray within range. Dundee's fab, honest, come and join us. Although whether you trust a man who uses the words "fab" and "groovy" is another matter. Jon defended his Thesis in August 2005 and is now following a career in Unix systems adminstration in the College of Life Sciences. During 2009 Jon moved to Portugal where he is continuing his career in systems administration. Sebastian Becker - was a summer student for July-Sept 2005. He worked with Jim Procter on developing code to generate Jalview XML files. Andy Sanwell - Was a visitor to the group and applied his training in computer science to a number of problems. In particular he polished the latest version of the STAMP package for protein structure comparison and alignment, and set up STAMP to scan the PDB on our Linux cluster. Andy is currently spending more time on his other homebuilding projects at Perth. Patrick Audley - Joined the Group on 1st May 2002 as Unix systems administrator and general computing Guru. Although based in the Group, Patrick had wide responsibility for high performance computing and networking in the Wellcome Trust Biocentre. While he didn’t always sit on the desk, he found it helps, sometimes... Patrick has his own extensive web site. After two years transforming the computing systems in the Faculty of Life Sciences, Patrick has now returned to Canada. Andreas Schlicker - Was a summer student from the University of Saarbruecken, Germany who worked in the group during August and September 2003. Susanne Eyrisch - Was a summer student from the University of Saarbruecken, Germany who worked in the group during August and September 2003. With Andreas, she developed a web interface to the STAMP structural comparison program. Caleb Webber graduated from the University of Warwick in October 1995 with a degree in Biological Sciences with Molecular Genetics. After a little rest from academia, he started work in the wEST radiation hybrid mapping group, Wellcome Trust Centre For Human Genetics, handling and developing their automated lab systems and bioinformatics. A chance introduction at this seemingly innocent venue led him to sign away the next three years working for a PhD under Geoff's guidance! Arriving at the EBI in December 1998, Caleb is currently examining the usefulness of primary structure comparison tools and hopes very much to head off into the trendy world of comparitive genome research. Caleb spends all his free time singing and playing in a band called "Halo", described as "local dance/rock crossover types mixing grungey guitars with house beats and trip-hop atmospherics" by the music press. You can find out for yourself at www.bosstunes.com. After successfully defending his Thesis on 1st April 2003 (examiners David Jones, UCL and Ewan Birney (EBI), Caleb now works in the Ponting Group at the University of Oxford. He recently became a group leader there with research in Neurological Disease Genomics. Goulven Kerbellec - Is a computer science summer student from Nantes, France. He spent three months from 1 June 2002 in the group developing web interfaces to software. While with us Goulven developed an interface to our database searching program SCANPS. Steve joined the group at EBI in February 1999 from the University of Bath. 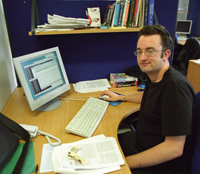 In June 2001 Steve moved to a job working on the Ensembl project at the Sanger Institute. Steve now heads the Sanger software development team for the Ensembl project! Uwe joined the group at EBI in March 1999. He worked mainly on the 3Dee domains database and moved on to a job with Novartis in Switzerland in Dec 2000. James Cuff completed his BSc at Manchester University in June '96, during which a on year placement was spent at the Company Research Laboratory, BNFL. Previous research has included work with novel zeolite compounds, pthalocyanines and a final year honours project in protein structure prediction. James joined the group in Oct. '96 on a joint venture between the MRC, and the OCMS. He is currenly attempting to survive his PhD in protein structure prediction. James successfully defended his Thesis in March 2000. After a period working for Inpharmatica, James has now returned to Hinxton and is a Group Leader at the Sanger Institute. James has now moved on again to the Broad Institute in Boston, USA. 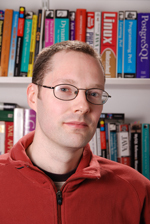 In 2006 James moved again to Harvard University as Head of the Faculty of Arts and Science Research Computing. In 2017 James surprised everyone by retiring from Harvard to take up property maintenance then journalism before founding technology company Witnix in 2018. Nirmala :-) was a sabbatical visitor for 1999 from the company Novartis in the USA. She worked on combining the MAP fold recognition method with NMR data. Nirmala returned to the US in January 2000. 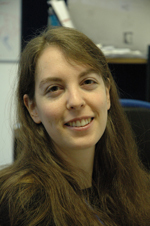 Michele Clamp has a first degree in Physics from the University of Oxford and then escaped to Manchester University for a PhD in experimental solid state physics. Another 3 years were blissfully spent in Manchester after transferring to the Biochemistry department for a post-doc developing novel molecular dynamics algorithms with Andy Brass. The return to the South could no longer be avoided when she joined Geoff Barton's group in October 95 ostensibly to work at the Wellcome Trust Centre for Human Genetics. She got her feet under a desk there after a year's wait and worked on the location of genes in genomic human DNA. She moved to the EBI in December 1997 where she worked on the Java multiple alignment analysis tool JalView as well as a CORBA interface to the Pfam alignment database. 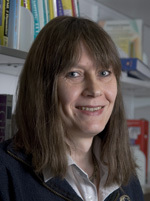 In January 1999 she moved to the Sanger Centre in order to develop analysis tools for the annotation of the Human Genome where she heads a team on the Ensembl project. Michele has now moved on again to the Broad Institute in Boston, USA and in 2010 relocated to Bioteam at Boston. In 2012, Michele became the Director of Informatics and Scientific Applications, Faculty of Arts and Sciences, Harvard University, USA. In 2017, Michele surprised us all by retiring from Harvard to pursue a successful career as an Artist as well as founding the technology company Witnix. in 2018. What she does in her spare time is her own business but none of it involves throwing herself willy-nilly out of aeroplanes. Raghava did his M.Sc in Physics and M.Tech in Computers from IIT Delhi, INDIA. He did his Ph.D. in Computer-Aided Protein Structure Prediction. Presently, he is on leave from his department (Bioinformatics Centre, Institute of Microbial Technology Chandigarh, INDIA), where he is working as a scientist. He has joined the group in August, 1996. Raghava returned to his job in India at the end of July 1998 where he runs a very successful research group. Richard completed his first degree in Chemistry, in Oxford in 1993. He did his undergraduate research project Phosphate Binding Sites in Proteins in this group. He started research on an MRC funded studentship in October 1993. His work was on the prediction of protein structure using fold recognition techniques. 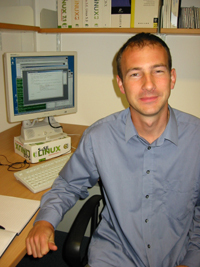 In March 1997, Richard moved to SmithKline Beecham at Harlow to work in the Bioinformatics group. In October 1998, Rich moved on to the Bork group at EMBL Heidelberg. In July 2002 he moved back to Oxford to head a team at the Wellcome Trust Centre for Human Genetics. More recently, Richard moved to a CNRS position in Villefranche-sur-mer near Nice, France. Asim completed his first degree in Physics at Cambridge in 1992. He joined the group in October 1993 on a Science and Engineering Research Council studentship, after working for some time in industry. Asim was a member of Worcester College MCR. 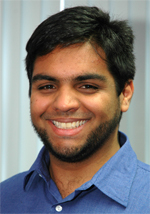 Asim completed his Thesis on protein structural domains and the 3Dee domains database in April 1997. In May 1997 he moved on to a job in industry in Vancouver, Canada. In 2003 he returned to academia as a group leader at the Genome Sciences Centre, UBC, Vancouver. In 2008 he became Director of Bioinformatics at Life Technologies, San Francisco. In April 2013 he moved to the company Natera in California. Craig took his first degree in Biochemistry at the University of Kent at Canterbury. He came to Oxford in 1991 to take up a Medical Research Council studentship and completed his D.Phil. Thesis entitled: Pattern recognition and protein structure prediction from aligned amino acid sequences in July 1995. Craig's main research interests have been in protein secondary structure prediction and conservation analysis of multiple protein sequence alignments. He submitted his D.Phil thesis on 9th June 1995 and is now working at SmithKline Beecham in Harlow, UK. Aside from the research, Craig is(was?) an active member of the Oxford University Gliding Club. He attended the Meeting on the Critical Assessment of Techniques for Protein Structure Prediction. In 2000 Craig moved on from SB to work for Cherwell Scientific. Craig moved in 2001 to AP Benson, a management consultancy company based out of Wallingford near Oxford. He is still flying, but now microlights rather than gliders! Rob managed the Sternberg Group web pages and has contributed his Guide to Protein Structure Prediction to the WWW. Rob moved on again in March 1997 to become a senior scientist at SmithKline Beecham, Harlow, UK. 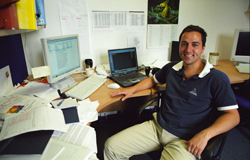 In Feb 2001 Rob moved from SB to be a team leader at EMBL Heidelberg. and in 2009 moved down the road to be a professor at the University of Heidelberg. Rob lists his other interests as classified. Andras was a visiting student from the Institute of Enzymology in Budapest, Hungary. He obtained his university diploma in chemistry from Eotvos Lorand University, Budapest in 1991. He was funded in Oxford for 9 months on a George Soros Fellowship (the same who (nearly) broke the bank of England). Andras enjoys climbing mountains, wine, women and fast cars. Probably. Andras has returned to Hungary, and can be reached at the Institute of Enzymology, Biological Research Center, Hungarian Academy of Sciences, P.O. Box 7, Budapest 1518, Hungary. Andras is currently (1998/99) working with Andrej Sali at the Rockefeller University in New York, USA. Visited from Bangalore for 9 months. She heads the Bioinformatics group at the Indian Institute of Science in Bangalore. In May 1999 Margaret moved to the UK to a job with the Swiss-Prot team at EBI. Since EBI, Margaret has now moved on to a position in New Zealand. Scary low-res pictures of Richard, Rob, Craig and Andras were taken with the built-in camera on a Silicon Graphics’ Indy computer. At the time (1993) having a camera on a computer was a real novelty! We all thought it was just a pointless sales gimmick since all we wanted a computer for was to crunch numbers!